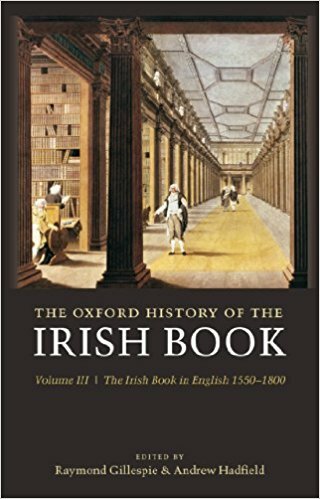 The Oxford History of the Irish Book Volume III The Irish Book in English, 1550-1800 | Free eBooks Download - EBOOKEE! Raymond Gillespie, Andrew Hadfield, "The Oxford History of the Irish Book: Volume III: The Irish Book in English, 1550-1800"
The Oxford History of the Irish Book is a major new series that charts the development of the book in Ireland from its origins within an early medieval manuscript culture to its current incarnation alongside the rise of digital media in the twenty-first century. Volume III: The Irish Book in English, 1550-1800 contains a series of groundbreaking essays that seek to explain the fortunes of printed word from the early Renaissance to the end of the eighteenth century. The essays in section one explain the development of print culture in the period, from its first incarnation in the small area of the English Pale around Dublin, dominated by the interests of the English authorities, to the more widespread dispersal of the printing press at the close of the eighteenth century, when provincial presses developed their own character and style either alongside or as a challenge to the dominant intellectual culture. Section two explains the crucial developments in the structure and technical innovation of the print trade; the role played by private and public collections of books; and the evidence of changing reading practices throughout the period. The third and longest section explores the impact of the rise of print. Essays examine the effect that the printed book had on religious and political life in Ireland, providing a case study of the impact of the French Revolution on pamphlets and propaganda in Ireland; the transformations illustrated in the history of historical writing, as well as in literature and the theatre, through the publication of play texts for a wide audience. Others explore the impact that print had on the history of science and the production of foreign language books. The volume concludes with an authoritative bibliographical essay outlining the sources that exist for the study of the book in early modern Ireland. This is an authoritative volume with essays by key scholars that will be the standard guide for many years to come. No comments for "The Oxford History of the Irish Book Volume III The Irish Book in English, 1550-1800".